Vanilla Replacers, Stand-alone along with some unique eyes (heterochormia iridum,hyphema & subconjunctival hemorrhage) all with vanilla lashes or with custom lashes, just pick your poison. Bethesda for a great game, the base textures and the modding tools. The Scavver's Guide to Surviving the Wasteland. Well I see you have managed to make it this far, good for you. Not many in your shoes could, won't lie I am a bit surprised so good on you. Now you are going to want to invest in some good googles and gas mask to protect those pretty eyes of yours. A blind person is a dead person in the wasteland. Some advice if you do find yourself an unlucky winner of a injured eye then get your self to a doctor as soon as you can. Had a friend once that got hit in the eye with a baseball bat by a raider. They were too stubborn to spend their caps on a doctor even though they had blood in the eye. The idiot went blind in that eye, and well they are not around anymore to tell the tale. Best of luck out there, till we meet again. This is a collection of default and/or non default eyes for Fallout 4 for males and females. There is also a version that includes custom hand painted eyelashes (please see images). 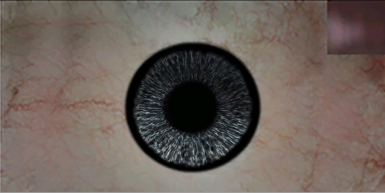 The default eye replacers are the exact same colour as the base game eyes, my hand painted texture is just an overlay on them, the only difference is my pupil is a bit larger and they have a dark limbal ring around them which makes the Iris slightly larger then vanilla. The eyes are 1k resolution simply due to the fact that there are a lot of lines and details on the Iris that I hand painted. So ah yeah I might have gone overboard on those details but I found when I went to 512x512 resolution they looked a bit blurry and well hectic to be honest. I did not find the 1k resolution affected my fps at all so I am leaving them as is. If you find this affects your fps I might do a lower resolution version so let me know and I can decide from there. I have done versions for both male and females which include heterochormia iridum versions along with some eye trauma (namely hyphema & subconjunctival hemorrhage). 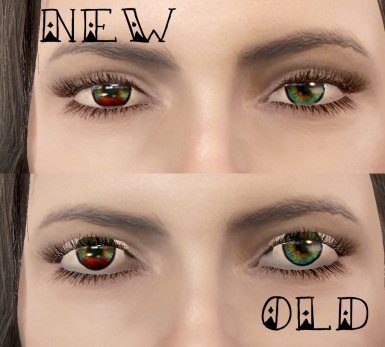 These use the meshes from Looking Stranger - Heterochromia and Odd Eyes by Shadowvalor. Thank-you so much for allowing me to use your meshes I greatly appreciate it. Also shout out to CROSS Mismatched Eyes-Blind Eyes by Niero for the original idea. EDIT 06/03/2017: THIS VERSION REQUIRES LOOKSMENU as there seems to be a bug where some users cannot edit the eyes of existing characters. I cannot reproduce this result in my game but I have been advised that using looks menu fixes it. 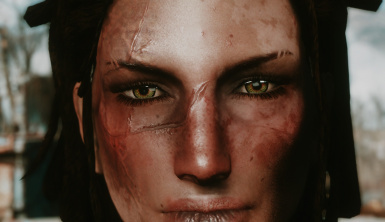 Please note I used Shadowvalor's older meshes which allow both eyes to animate however you might have to adjust your character's eyes in character creation if you get flickering or the eye ball is outside of the eyelids/face. Both meshes work well with default Nate & Nora and only require small modifications. 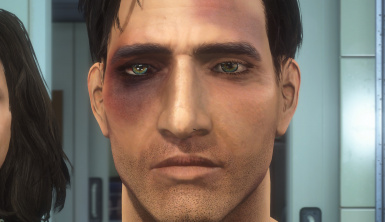 For the Hyphema & Subconjunctival Hemorrhage eyes I have included an edit to the Boxer 12 Rounds to flip the black eye to be on the right side of the injury. I have also edited the Fat Lip to be an eye bruise for additional bruising. 1) Is this coming to consoles? XBOX One- maybe I do have an XBOX One but do not have Fallout 4 for it. If someone is interested in helping me get it over to XBOX One users- send me a PM. PS4- nope, does not meet Sony's guideline for mods. 2) My character's eyes does not look the same as yours? 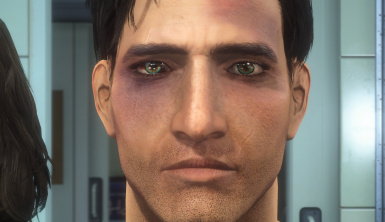 ENB/Reshades along with lighting mods and time of the day will all affect how the eye textures look. 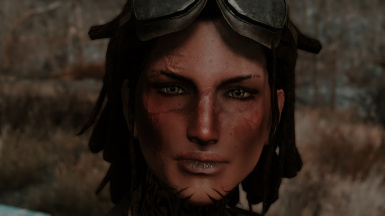 Some ENB's/Reshades might make the eyes look very vibrant while others might make them look darker and less saturated. There is not much I can do about that as I am not making a version that works for every ENB/Reshade out there. 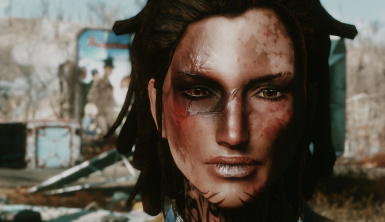 Without looks menu the mismatched eyes can no longer become editable once selected for some users, due to this looks menu has become a requirement of this mod for those versions. I have added a note to the sticky & the files. 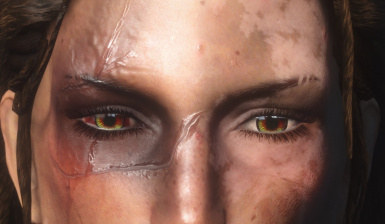 The mismatched eyes are a static eye mesh therefore you need to move the eye sockets in character creation to where the eye mesh is. If this does not suit your character you can always open the eyes in outfit studio and move them to where you need them. 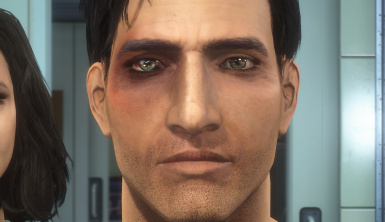 I have done this in the past for my own characters but I cannot make a version for every possible eye location as I would end up going insane and there would be a million files to choose to download. Before uninstalling please switch your eyes back to a default eye colour or you will end up with empty eye sockets. 2) If you use my textures and release a mod based on said textures, credit me for the base work. 3) Do not port to other games as I do use some of Bethesda's texture assets. 4) If you want to use the meshes then you need to contact Shadowvalor for permission.